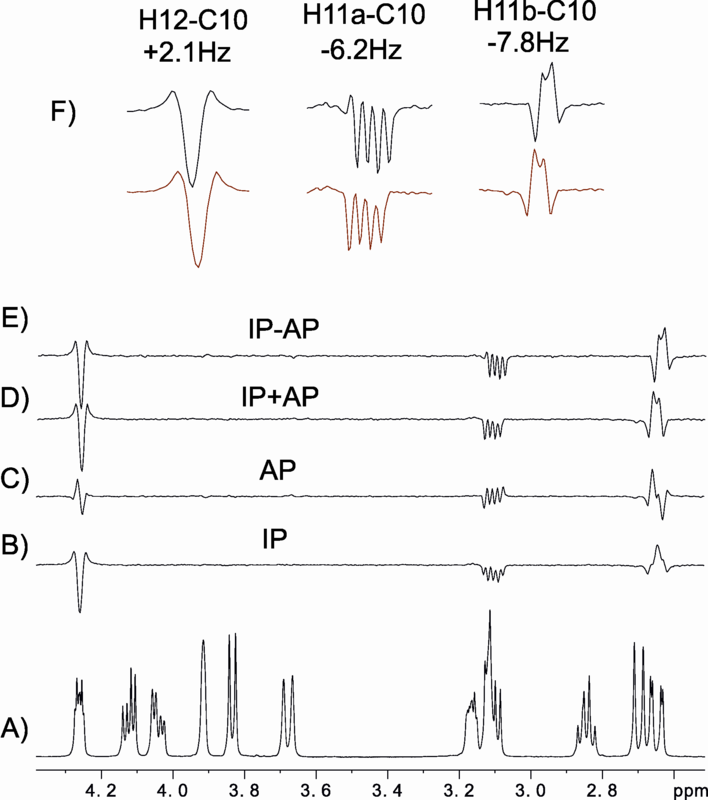 In recent years the use of Residual Dipolar Couplings (RDCs) has had a huge impact on the structure determination of biological macromolecules by Nuclear Magnetic Resonance (NMR). Its usefulness in determining the structure of small/medium-size organic compounds is increasingly more recognized. 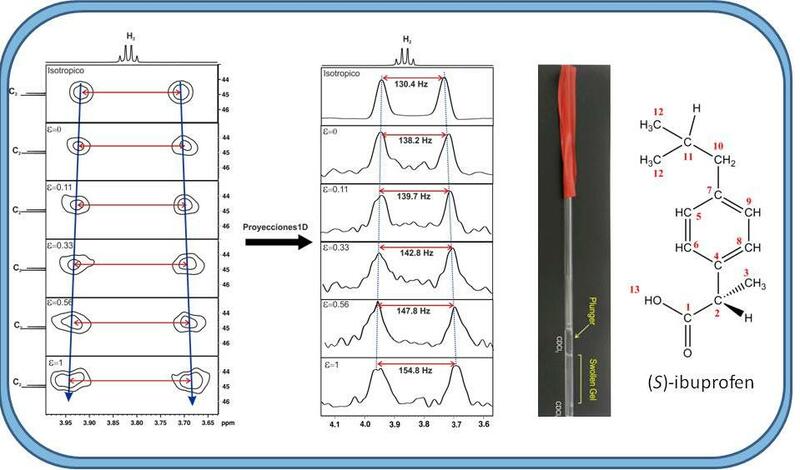 RDCs provide information about non-local structure, particularly in those cases where conventional NMR experiments such as Nuclear Overhauser Effect (NOE) or scalar coupling constants analysis fail to provide a solution. RDCs measures of small molecules are normally done partially aligning them in liquid crystal solutions or strained aligning gels (SAGs). In this work I have used a poly(methyl methacrylate) (PMMA) gel as anisotropic medium to measure RDCs in small molecules soluble in CDCl3, i.e. in (S)-ibuprofen. The use of this type of gel permits the precise measurement of RDCs with rapid and reversible variation of the alignment strength. 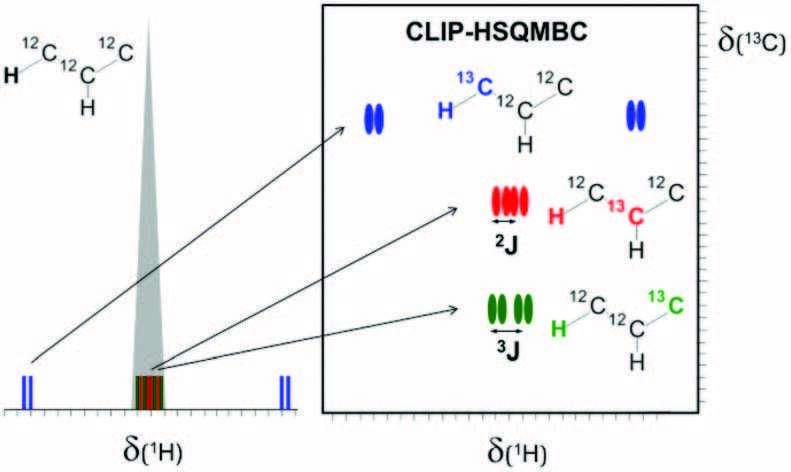 The accurate and precise measurement of one-bond scalar and residual dipolar coupling constants is of prime importance to be able to use RDCs for structure determination of organic molecules. 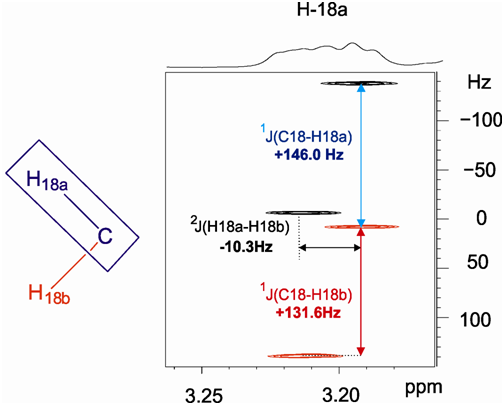 These coupling constants (1JCH and 1TCH) can be extracted from the direct or indirect dimension of 1H-13C HSQC spectra. In this research project I have tested several HSQC experiments to assess which of them are best suited to carry out the measurement of the RDCs. © 2012, Laura. All rights reserved by the author(s) and Universitat Autonoma de Barcelona except for texts and images already copyrighted by third parties (e.g. journal publishers) and used here under the fair use provision.